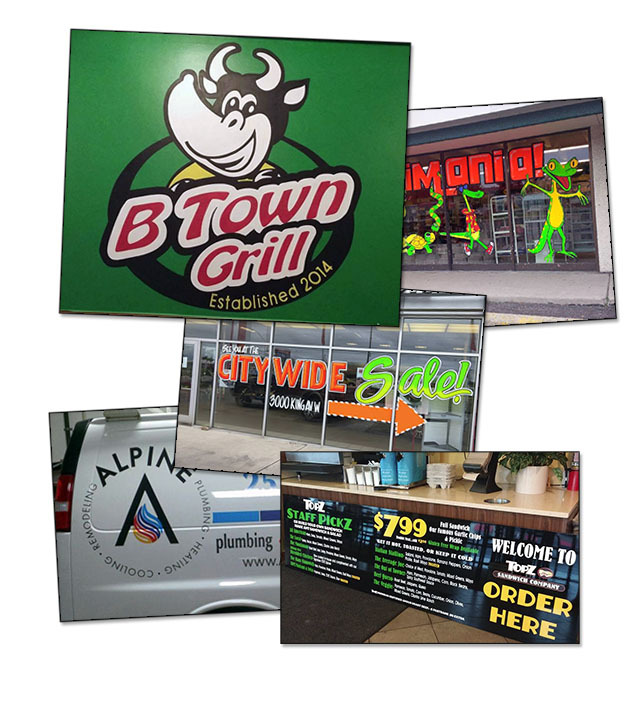 Advantage Signs & Graphics is a Billings sign company offering installation and maintenance for business signs and banners, hand painted signs, window painting and vehicle graphics in Billings MT and surrounding areas. Need a sign, banner or custom window painting? Leave your info below and we will get in touch! * We do not share your personal info with anyone. Hand-painted business signs have been a part of America’s culture since the birth of the storefront. Let Advantage show you how a hand-painted sign can enhance your location! From big to small, Advantage can do it all! Feel free to contact us today to request more information on our sign making services and see for yourself. Thousands of potential customers drive by your windows every single day. Let us help you attract them to your location with high visibility business sign painting! 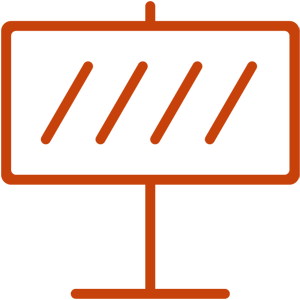 Concerned about how to create a professionally styled logo design for your business? Let Advantage design a logo that will truly stand out from the crowd. A Billings native, Nicole grew up around the sign business. She learned to hand paint billboards from her dad, Nick Knight and worked in several sign shops in Billings before starting Advantage Signs and Graphics in 1999. Starting out painting windows, Nicole has grown her business to produce signs and graphics of all kinds. While window painting is still the mainstay of her business, Nicole specializes in hand painted signs, business signs and murals. Giving back to her community is also important to her. 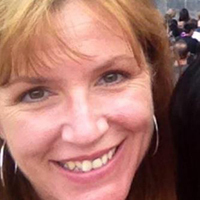 She spends many hours volunteering with fundraising events and as a powerlifting coach for Special Olympics. She was Montana Special Olympics Coach of the Year in 2007 and selected as one of the four powerlifting coaches that took the US Special Olympic athletes to the World Games in Athens Greece. I believe integrity in your business and your life is the most important thing. Keep your promises, be fair, honest & respectful to others. We have been using Advantage Signs for many years, and Nicole’s window art has drastically improved the visibility of our store downtown. Her art is original, colorful and eye catching, which is important for our building to jump out and attract potential new customers and help others find our business. We usually change the window art with the seasons to keep it fresh and updated. I don’t think there is any application that Nicole can’t do. We would recommend her to any business looking to update their appearance or add something new that would put them ahead of the competition. Advantage Signs & Graphics Thank you for your interest! If you are ready to make that strong impression, click on the button below and let's get started today! Ready To Boost Your Outdoor Exposure? Exterior Signs That Work! No job is too big or too small! Take a moment to contact us below to start the process and we will provide with a no-hassle project quote. * We will not share your personal info with anyone.